8 – A glimpse into Belle’s childhood. As you enter Maurice’s cottage, you get to learn a little bit more about Belle as a child. You get to see her favorite books growing up (since of course we know that she had several) as well as a growth chart tracking how much Belle grew every year. It’s always fun to see additional character development and get a little bit more of the character than we got from the movie. 7 – Audience participation is crucial. The entire experience is based on audience members participating and helping to reenact the amazing story of the Beauty and the Beast. Cast members select guests to play various roles to help tell the story and entertain guests. The roles that are played include knights, Philippe, Mrs. Potts, Chip, enchanted portraits, the footstool, the Beast, Maurice, salt and pepper shakers and Belle’s wardrobe. It makes the story a lot of fun to be told in this way! 6 – It’s a great place to meet Belle. Belle is actually in the show, and right there with you, so if you didn’t want to wait in line to meet her this is a great way to get two experiences in one. If you are an actor in the show, you get a special bookmark and a chance to pose for pictures with Belle, so be sure to volunteer! You even get a special Memory Maker card to access all the photos taken. This is only for the actors in the show. Also note that the photos won’t be free. If you have Memory Maker or an Annual Pass that includes Photo Pass, they will be included, if not you would be able to purchase photos that you like. Belle does not sign autographs at the show, but if you get the bookmark it does have a signature on it! 5 – The attraction took 5 years to make. Can you believe that it took that long to create this attraction? Imagineers reported in interviews that the attraction was 5 years in the making. There was numerous ideas for the direction of the attraction and to make it perfect. Not only that but the concept had to be thoroughly tested and planned since it is using guests as characters in the show, which hadn’t been done before. All safety concerns, performance controls, etc. had to be considered and factored into the planning for the attraction. We are glad they took their time, since they definitely got it right on the first try. 4 – Ride officially opened after 3 months of dress rehearsals and previews. The attraction’s official opening was December 6, 2012. The crews started dress rehearsals in September. A little after that, they started soft opening procedures to test with live guests and work out the kinks in the attraction to prepare for the official live opening. Ever since opening the attraction has maintained regular lines and remains a very popular attraction. 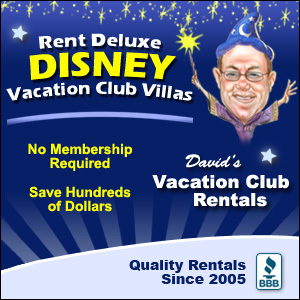 It is very different than other Disney attractions, so it gives guests a little something different to experience. 3 – That’s a lot of books. We guests would expect to see a lot of books in a scene for the library in the castle, since we all know how big it is. To help bring that realism to the attraction, a LOT of book spines were used in the library. There are around 12,000 of them actually. Can you imagine if your living room was filled with 12,000 different books? That definitely helps to set the scene for all of us! 2 – It was one of 6 new attractions for New Fantasyland. New Fantasyland was a huge effort for Disney and took years to complete. With the completion of the expansion, it gave us 6 brand new attractions to enjoy. 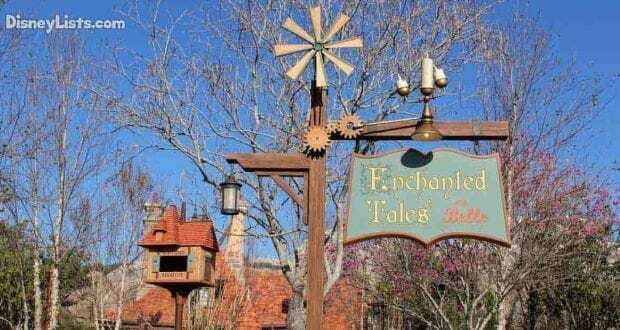 One of these of course being Enchanted Tales with Belle. The others are Princess Fairytale Hall, Pete’s Silly Side Show, Casey Jr. Splash ‘N’ Soak Station, Seven Dwarfs Mine train and Under the Sea – Journey of the Little Mermaid. All of these have been great additions to the area and give guests so many great experiences every day. 1 – Plans were announced at the D23 expo in 2009. 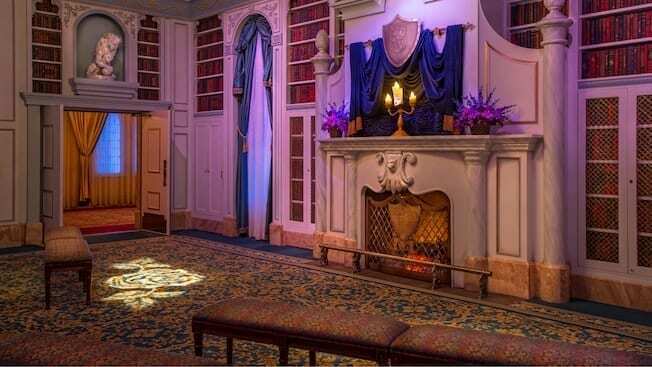 The announcement was made at the D23 expo that guests would be able to “dance with Cinderella, celebrate Sleeping Beauty’s birthday with the Good Fairies or join Belle in an enchanting story performance in the Beast’s Castle library” as part of the New Fantasyland expansion. 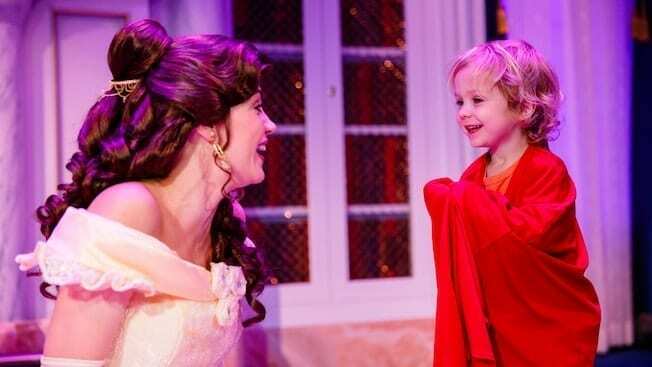 We know that the storytelling encounter with Belle came to fruition as Enchanted Tales with Belle. 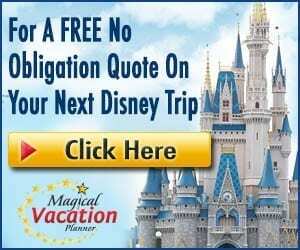 Plans for New Fantasyland changed of the duration of its creation and we haven’t seen these other experiences happen exactly as described yet. You can meet Cinderella and you could technically dance with her, but it isn’t exactly what we had in mind. You can also meet Aurora, but there isn’t a birthday celebration or this level of interactive experience. Maybe these teasers will be a part of future offerings that Disney will add at a later time.